You might think that it’s easy to find a qualified service professional to work on a mobile home. After all, there are lots of plumbers, electricians, carpenters, roofers and general contractors out there that provide service. But contrary to what you may think, not just any service professional is qualified or willing to work on a mobile home. Why? Because many of the conventional service professionals don’t want to work on mobile homes and thereby refuse jobs on such properties. This largely stems from a misconception that mobile home residents are often (and incorrectly) associated with lower income levels. Another misconception is that most mobile homes are built poorly and thereby more difficult to work on than a conventional single-family home. Like we said in the opening, many contractors refuse to work on mobile homes because they believe that they’re more difficult to work on than single-family homes. However, it’s not necessarily that these homes are more difficult to work on as much as they are different to work on. For instance, in most mobile homes, the plumbing is located underneath the unit and not in a basement. This might cause accessibility issues for some plumbers. Additionally, in older manufactured homes, some parts are built to different standards and can be difficult to replace or repair. These factors are just a few examples of why it can be difficult to find a reliable mobile home repairman. But fear not, they are out there – you just need to know where to look for them. We cover that in the next section. Word of mouth: If you live in a mobile home park, talk to your neighbors and others in your community. Talk to your park manager. Talk to the park’s maintenance staff. Ask them if they have any recommendations on who to call for a particular issue. Usually, word of mouth references are the best types of references because you’re not just learning of a qualified individual to handle a task, you’re also learning of a professional who has delivered quality service to someone you know. That’s a win-win. Online resources: Use the Internet to your advantage. Consider conducting a Google search for mobile home repair in your area and see what turns up. Be sure to peruse each company’s website to learn more about them, read through customer reviews and consider contacting them to ask for a reference list. Another great resource is right here at MobileHomeRepair.com, a resource that serves to connect mobile home owners to relevant repair information. The site also has a variety of articles and posts on DIY tasks and how-to tutorials for certain mobile home repairs. HomeAdvisor.com is another site that could be a good resource for finding a qualified professional. Community bulletins: Does your mobile home park have a common area that residents hang out in? If so, peruse this area for leads on service professionals. These common areas are ideal places for mobile home repair professionals to leave their business cards or advertise their services on bulletin boards. While they may not be as good as word of mouth leads, they can lead to finding a quality, credible contractor. Dealers: If all else fails, reach out to the various mobile home dealers in your area. These are good sources of information, as it’s their job to sell manufactured homes and often make arrangements with various contractors for getting homes in order prior to sale and occupancy. Experience working on mobile homes. Other qualifications, such as positive status on Angie’s List or a Better Business Bureau membership, also help. How much experience working on mobile homes do you have? Obviously, more is better. Do you offer any type of warranty? Warranties show that contractors stand behind their work. Do you use any subcontractors? Ideally, you want to work with someone that can handle everything themselves and not have to subcontract out any work. Subcontracting can lead to delays and other complications. Do you offer free estimates? Price is always a big deciding factor in selecting the right contractor for a project. Getting a complimentary estimate can help you weigh this versus other contractor price estimates. What payment types do you accept? If you don’t have enough money in your checking or savings account, you’ll want to be sure they can take credit or that you qualify for a financing agreement through the service company. How soon can you start? If you need to have your project completed before a certain date, the answer to this question can become an important one. What’s the best way to communicate with you? Contractors often don’t tend to be the best communicators, so it’s important to know how to reach them for updates, if you have any questions or if you just need some information. 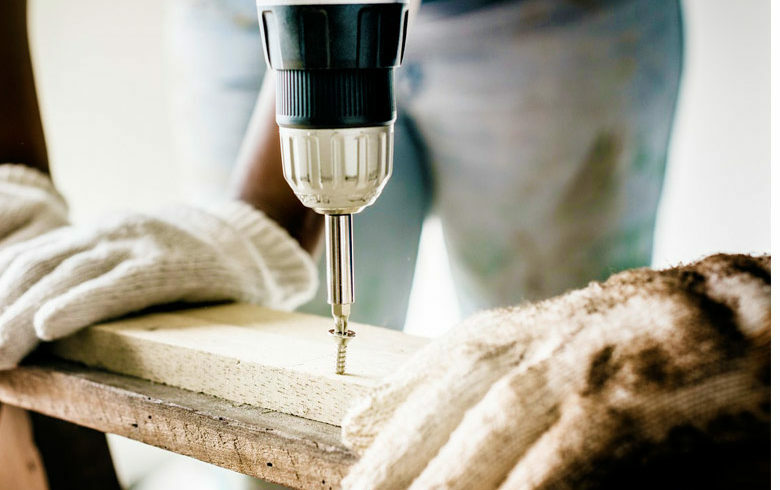 Ideally, you’d like the mobile home repair professional that you use to become your go-to contractor when it comes to all of your repair or maintenance needs – that’s why it’s important to do your due diligence before you decide to hire one. Making the right choice can create a long-lasting partnership.